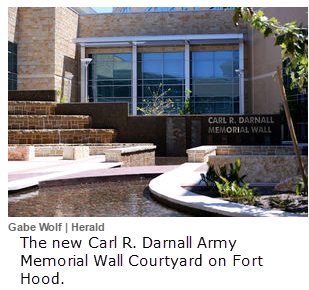 ​​​​FORT HOOD - The new Carl R. Darnall Army Medical Center—located across the street from the old building—officially opened its doors to new patients with the hospital’s first in-patient day. The six-story, 947,000-sf hospital has been in the works for several years and staff and patients alike said they are happy to see it welcome its first patients. One area of the hospital that received major upgrades from the last building is the pharmacy, which is now located on the main floor just a short walk from the main entrance. The building is roughly 60 percent larger than the old hospital, allowing staff to assist patients more easily, as well as allowing them to see more patients at a time. See April deployment for Fort Hood 1M-SF Darnall Army Medical Center​​​​. Also see Fort Hood Intrepid Center ushers new era of care​.